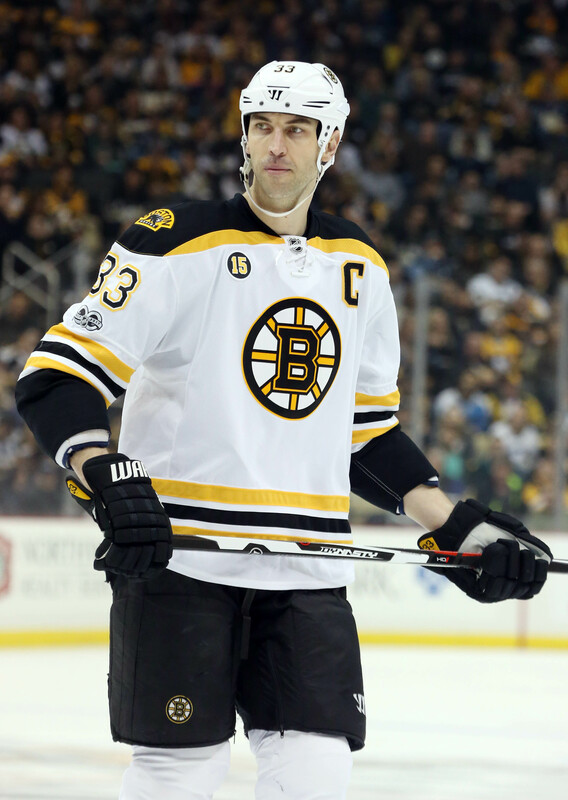 Zdeno Chara will be sticking around with the Bruins for a little while longer. The team announced that they have inked their captain to a one-year contract extension. The deal will carry a base salary of $2MM with the opportunity to earn another $1.75MM in performance bonuses. Pierre LeBrun of TSN and The Athletic reports (Twitter link) that Chara will receive $1.25MM for playing in ten games, $250K if Boston makes the playoffs, and $250K if they win the Stanley Cup in 2020. The 42-year-old is currently in his 21st NHL season (the 11th with Boston) and while he is no longer the high-end top pairing anchor he once was, he has still proven himself to be a valuable member of their back end. This season, Chara has played in 55 games, collecting just 11 points but is still averaging nearly 21 minutes a night, third-most among Bruins rearguards. In his career, Chara has played in 1,478 games between the Islanders, Senators, and Bruins which ranks fourth among all active players. His next goal will be the 200th of his career and will make him just the 22nd defenseman all-time to reach that plateau. The deal actually represents a sizable pay cut from his current contract which carries a $5MM base salary with the same bonus structure as this new pact. While his offense has tailed off, this type of contract is certainly fair value for a mid-tier defender which is probably the best role for Chara at this stage of his career. With the contract, the Bruins now have five of their top seven defenders locked up for next season with a total cap hit of $13.9MM guaranteed (not including the likely $1.25MM for Chara playing in ten games or Dennis Seidenberg’s buyout cost of $1.167MM). That amount will go up considerably this summer with youngsters Charlie McAvoy and Brandon Carlo slated to be restricted free agents. Even so, Boston should be able to bring back their entire defense corps for next season, one that has been quite effective as their 186 goals allowed is the third fewest in the NHL. I love Chara but I was very much ok with the idea that this would be his last year. The Bruins have so much defensive depth that is getting blocked by big Z and while he can still offer something out there I still would rather see more of the kids. Guess the B’s couldn’t risk him going elsewhere if he really has the desire to continue playing. The Stick-Wielding Giraffe is one of the very few guys worthy of keeping around, just for that “veteran leadership.” He’s a guy that does provide that and can help the kids. And, to actually take less to stay around says a lot. Great move, experience alone is worth keeping him around.